Olympic champions Mo Farah and Jessica Ennis were named athletes of the year by the British Athletics Writers’ Association at the organisation’s 50th annual awards staged in London yesterday. It is the third year in succession that these two athletes have picked up the British athletics writers’ top prize. 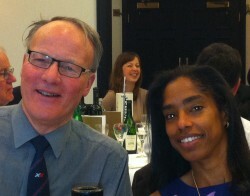 Neither winner could be present at the lunchtime ceremony at London’s Tower Hotel, but Ennis’ coach Toni Minichiello was there to accept his athlete’s award on her behalf, while Alan Watkinson, the school teacher who discovered and nurtured the teenaged Mo Farah, collected the men’s award for his former pupil. Farah first won the award in 2006 and dominated voting for the John Rodda Award this year after his thrilling double victory over 5,000m and 10,000m at the London Olympic Games. Olympic long jump gold medallist Greg Rutherford was runner-up and high jumper Robbie Grabarz was third after winning a bronze medal in London. Farah, 29, has now won the BAWA men’s award more times than any other athlete, moving ahead of all-time greats Lynn Davies, Sebastian Coe and Jonathan Edwards who were all triple winners. “What a year I have had,” Farah told the audience via a video link. “I can’t believe I have become double Olympic champion, I never thought it would happen in London. It has just been an amazing year. Ennis retained the Cliff Temple Award for female athlete of the year, which she has held since 2009. The 26-year-old from Sheffield was a comfortable winner of the 2012 vote after her emphatic and emotional heptathlon victory in London, which kick-started Britain’s golden hour in the Olympic Stadium on “Super Saturday”. Ennis also won a pentathlon silver medal at the World Indoor Championships in Istanbul in March. Christine Ohuruogu was runner-up in the vote after winning a silver medal over 400m at London 2012, while the world indoor triple jump champion, Yamilé Aldama, was third. Ohuruogu was female athlete of the year in 2007 and 2008. With four BAWA awards to her name, Ennis is now equal with fellow multi-eventer Denise Lewis, the 2000 Olympic heptathlon champion, and one behind Paula Radcliffe who was athlete of the year five times between 1999 and 2005. Aldama’s triple jump victory in Istanbul also earned the 40-year-old east London resident BAWA’s 2012 Inspiration Award given in recognition of an athlete who made an outstanding performance in a single event, performed well against the odds, or is retiring after a long and distinguished career. Aldama broke the world masters record to win world indoor gold in March then battled back from a shoulder injury to finish fifth at the Olympic Games. The season’s sprint sensation Adam Gemili won the Jim Coote Memorial Award for junior men. The east Londoner ended his first full season in the sport as world junior 100m champion, British junior record-holder and silver medallist at the British senior championships where he won a place on the British Olympic team. The Lillian Board Memorial Award for junior women went to Katarina Johnson-Thompson who won the world junior long jump title in Barcelona before finishing 15th in the heptathlon at London 2012. The Liverpudlian set four personal bests at the Olympics and broke the British junior record twice in 2012. Wheelchair racer David Weir won a special award for Outstanding Achievement by a Paralympic Athlete, a category introduced by the athletics writers to mark the success of the 2012 Paralympic Games. Weir won four gold medals at London 2012 just a few months after claiming a record-equalling sixth London Marathon victory. 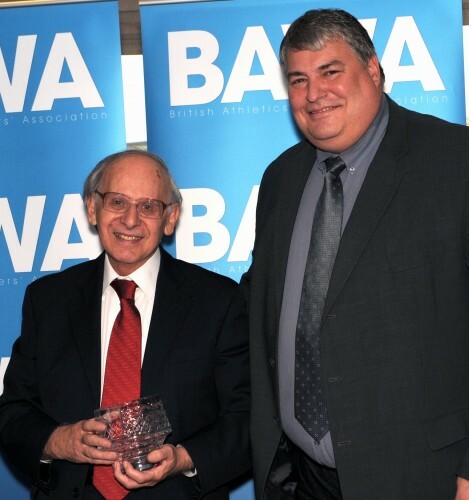 The Ron Pickering Memorial Award for Services to Athletics was presented to veteran athletics writer Mel Watman, a founder member of the British Athletics Writers’ Association and the organisation’s honorary president. 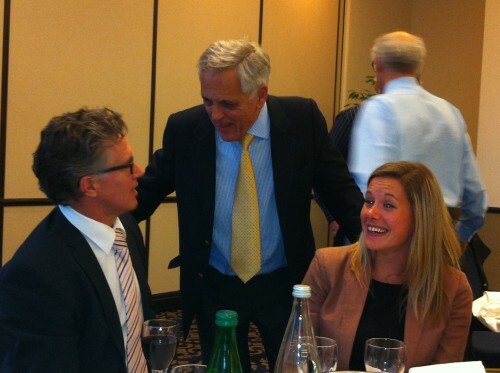 Watman, a former editor of Athletics Weekly and author of numerous books on the sport, is now co-editor of the highly respected newsletter, Athletics International.